…fast & easy! Lots of us have been waiting for this for such a long time. Now you just tell Locus where to read photos in your device memory (mostly DCIM/Camera folder). Tap “Geotagged photo“, then the blue “+“, select the folder, confirm. The “eye” button displays or hides the photos and that’s it. Of course Locus can display only pictures with included coordinates. 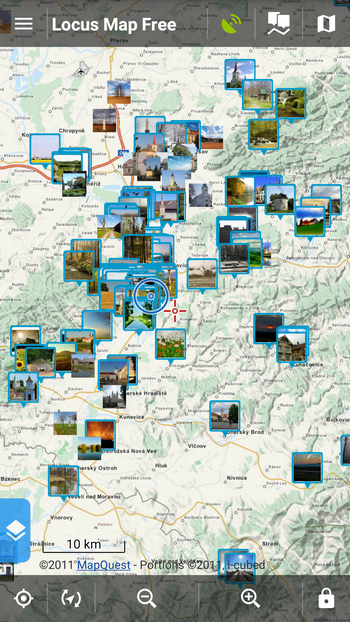 Another innovation brings world wide photos from well known mega database Panoramio to Locus Map screen. Places all over the World can inspire you and revive your imagination directly in your palm. Just tap “Panoramio” in the Layers (and be online). Hmm, but I don’t want any panel on the left! You’re a long-time Locus insider and the current settings of Locus is perfectly OK for you? No problem! 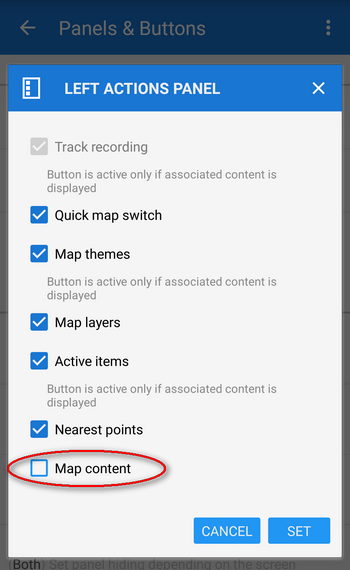 You can just switch the “Map content” panel off in settings and all is as it used to be: go to Settings >Maps > Panels & Buttons > Left actions panel > uncheck “Map content“. including all settings regarding maps. 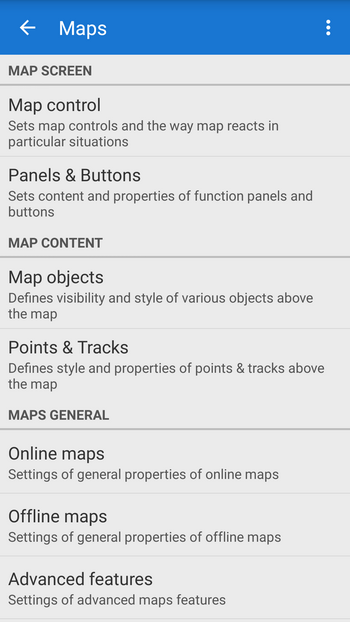 It’s structured further into Map screen, Map content and Maps general subcategories. 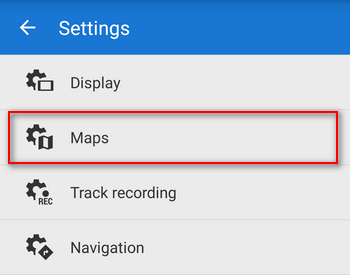 The Maps settings are now much more intuitive and make things easier not only for new users. 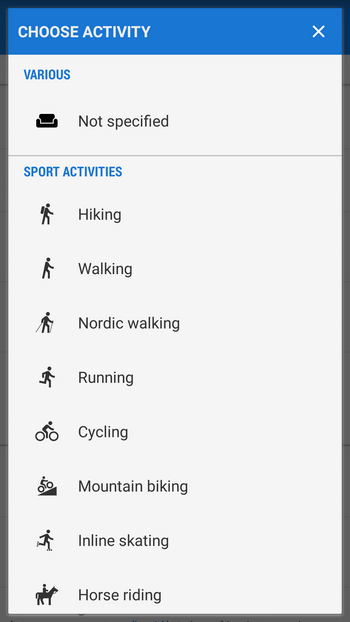 insert your body proportions in the settings and after the track recording you find out how much calories you burned. The activity can be set either before the recording or later in the track detail window. 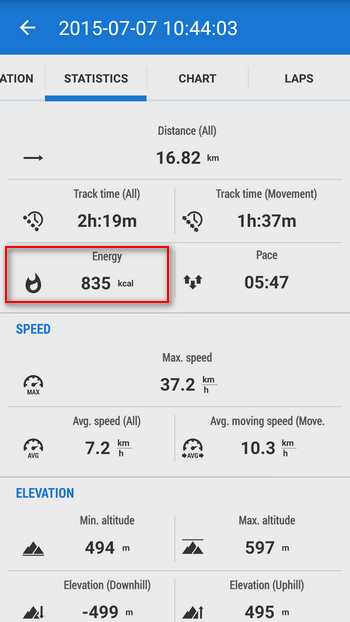 The energy expenditure is displayed in the track recording statistics or can be displayed in real time in the dashboard. These new parameters of your workout can be monitored either in the track record statistics or on the dashboard during the activity. Obviously, they require connecting of external sensors via bluetooth or ANT+ interface. …made by the long promised extension of Live tracking Premium! 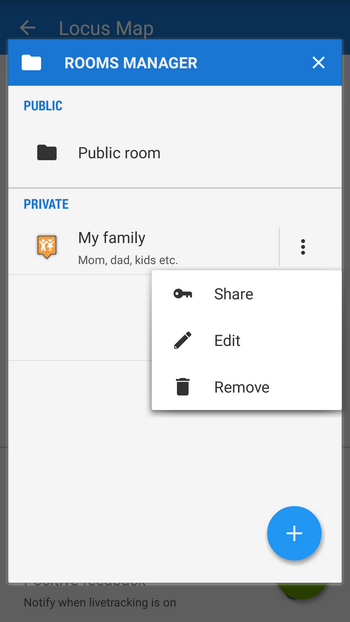 Until now you could share your real time location only with all other Locus users. This setting served more or less as general live tracking testing, and not only for Locus users, but also for us, developers and providers. 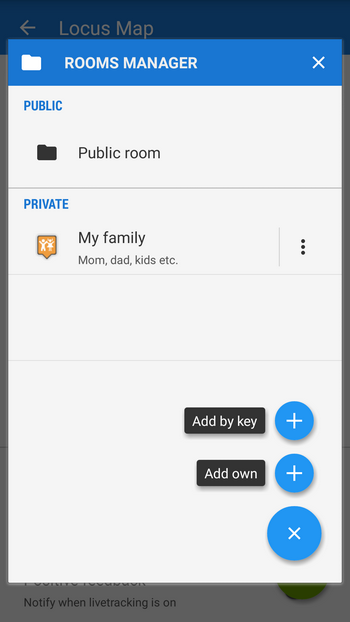 We learned a lot and we are proceeding – Live tracking Premium enables sharing location with particular selected people – friends, family, colleagues… Just create your own “room”, similar to a “chat” room, and invite anybody you like via e-mail or any other means of communication you have installed in your device. Unlike in the chat you don’t “chat” with anybody – you monitor each other’s position with your buddies. As a care taking parent you can monitor your kids getting home from school, you can navigate your friend to a meeting or the other way round, you can be navigated by Locus to the friend’s position. Live tracking can be found in the main menu > more functions. When you launch it for the first time a new profile is created automatically and you’re prompted to insert your nickname. That’s the name others will identify you by. If you are happy with the public Live tracking, just push the green Start button. If you haven’t logged in My Locus yet (necessary for entering Locus Store, for recommendation of Locus to your friends and of course for the Live tracking start), you are prompted to do so. 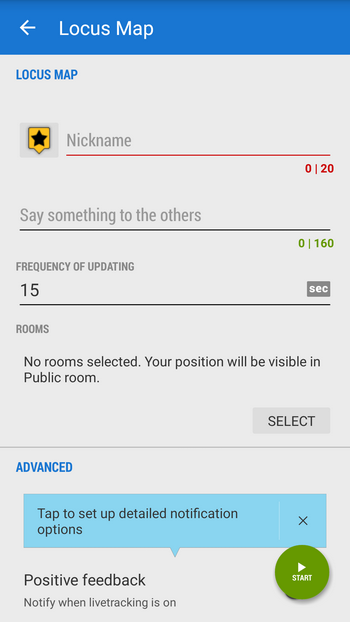 All the same happens when you choose to select rooms. “Add own” creates your own Live tracking “room” – the feature is available on subscription of Live tracking Premium so you are redirected to Locus Store. You’ve got 14 days trial for testing the feature for FREE but, honestly, the price is symbolic (50 LoCoins monthly is some 0,6€). 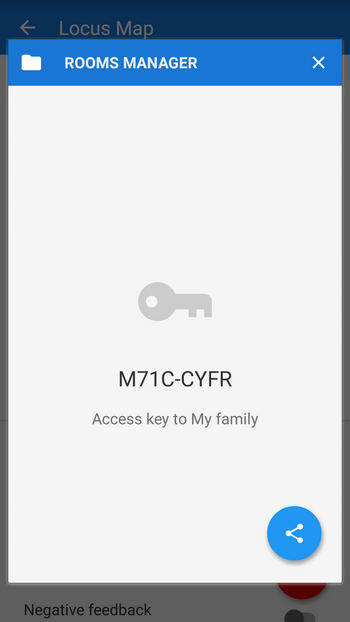 Locus generates a unique key, that can be sent by e-mail, SMS or any other communication app you have in your device to those with whom you want to share your position. The message contains the key and a link that launches Locus if you click it in a mobile device and starts the Live tracking automatically. 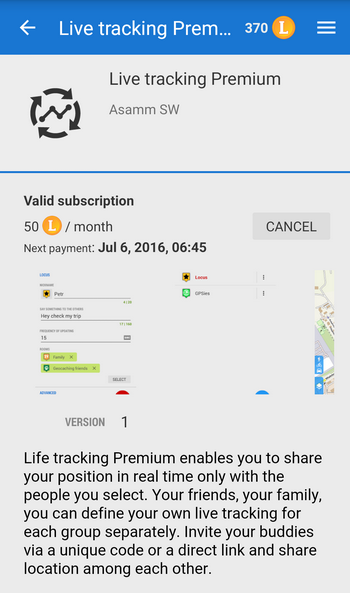 We hope you’ll like the new Live tracking Premium and finally the feature as a whole makes sense for you. We’ll continue working on it so that it’ll bring even more fun to you like e.g. monitoring your friends on a PC. There are many single-purpose tracking apps on the market but why to install them if you have Locus Live tracking? Great update! Yet it appears that not all lomap legends items show on my maps anymore. For example I am missing cave symbols since this update. I am running the latest Norway 2016-04 map on Galaxy Note 3 Android 5.0. Is it me or are the icons missing on the map? Great, except I cannot download any offline maps from online maps anymore. In the settings menu Maps -> Offline it allows me to chose from “external maps” on my device (which doesn’t work for Osmand maps) of offline maps from the locus store. we removed the option to download online map for offline use just from the main menu – it remains in action menu of a particular online map (three dots). 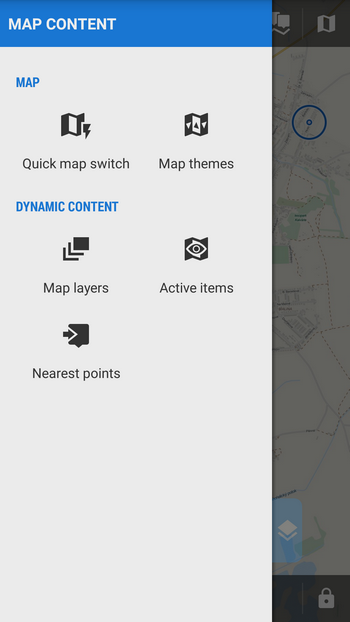 So select an online map in the Map manager > tap its action menu > select Download. Go on as you are used to. It’s not intuitive 🙁 I found it myself yesterday only by chance and searched it again 5 minutes today before coming back to your blog to check if I got an answer. We solve all problems primarily on our helpedsk at help.locusmap.eu. However, not intuitive – we just removed one option (the more visible one) of online map download – the second one which is still active was there also before – from the map action menu. There are more reasons for this – making the downloading dialog clearer for new users and to diminish online maps downloading – it’s demanding on the online servers. We need more promotion on offline map downloading from Locus Store. 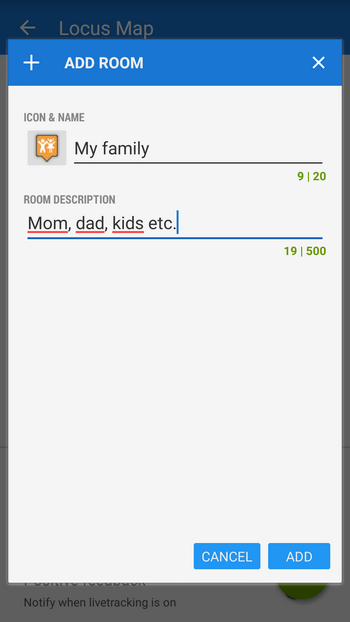 We usually update the user guide/help after the app release. Ich habe mein Handy gewechselt. Auf meinem alten mit Lotus Map Pro 3.18.2 könnte ich ohne ein My Locus Profil Karten herunterladen. Auf meinem neuen mit 3.18.3 ist das nicht mehr möglich. Ist die das seit 3.18.3 zwingend erforderlich? it depends on what maps you want to download. 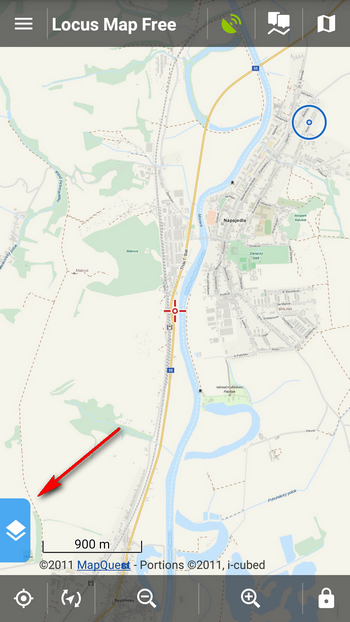 If you download some online maps for offline use, like e.g. OSM hike&bike which is free, you don’t need to be logged in My Locus. If you want to download paid maps like Outdooractive or Swisstopo or any offline map offered in Locus Store, you need My Locus login. Locus map startet auf meinem Tablet Asus nicht mehr.Betriebssystem Android 4.3. Fehlermeldung: locus map wurde beendet. what kind of Asus exactly do you have? We’ve registered some issues on Asus Zenfone with Android 4.3 – there is an update to Android 4.4 that solves the problem. The only unsolvable device is Asus MeMopad 10(ME302C) for which no update is available.